ABC’s membership represents all specialties within the U.S. construction industry and is comprised primarily of firms that perform work in the industrial and commercial sectors. Be a part of Central Florida’s largest community of commercial contractors and industry leaders. ABC connects your team with customers and suppliers, peers and industry leaders. ABC is your resource for building a safe and skilled workforce. 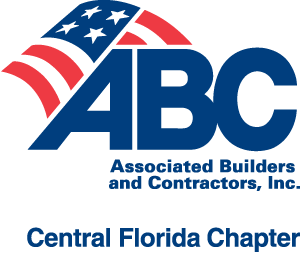 ABC is the industry advocate in Tallahassee and Washington. ABC offers tools and resources to give a competitive advantage.